On Sunday Feb 17, Tom Janisch, Kyle Flick and I enjoyed a sun-baked circumnavigation of Mt. Cashmere inspired, in part, by Lowell Skoog’s presentation (given a week ago in Wenatchee) of skiing the Cascade Crest. 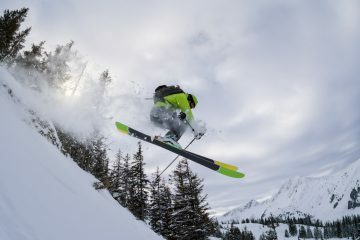 Skoog’s exploits (he has skied the 320 miles of the Cascade Crest connecting the summit of Mt. Baker and the summit of Mt. Rainier) were a frequent topic of discussion. For this lengthy day tour, we started skinning at 6:30 a.m. at the start of Eightmile Road, leaving from the Icicle Road where the plowing ends. Tom Janisch, of course, was gone from sight within a couple minutes. Kyle and I brought up the rear. The weather forecast had the freezing level rising to 10,000 feet Sunday, so we knew it was going to be warm. 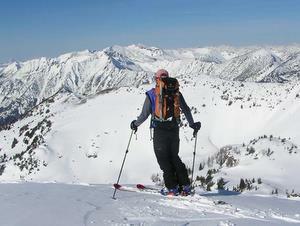 Earlier in the year, we tried skinning up the east shoulder of Mt. Cashmere, in freezing temperatures and in a near whiteout. This time, we chose to skin to the Eightmile Lake Trailhead, ski to Little Eightmile Lake, climb the trail to Lake Caroline, carry on past Caroline Lake to Windy Ridge slightly past Windy Pass southwest of Cashmere’s summit. From Windy Pass, we planned to traverse over to the Doctor Creek drainage, which is surrounded by wide-open bowls, and enjoy a long, fun descent back to the Icicle Road. Then we’d finish the day with a fairly flat four-mile slog along the Icicle Road back to the car. See the map for the route. We made excellent time to the junction of the trail leading to Lake Caroline thanks to a snowmobiler who thoughtfully packed the snow all the way to Little Eightmile Lake. Then we had a nice skin up to Lake Caroline in the sun, with magnificent views as we climbed. The sun was warming the snow quickly and, with no wind to cool things down, the snow started sticking to our skins. Tom saved Kyle and me with his skin wax—that one-ounce miracle kept us from dragging around an extra 10 pounds of snow on each ski. Again, we were surprised at our time when we made it to Lake Caroline around noon. We skied down and across the frozen lake and then skinned up to Windy Ridge just north of Windy Pass. The sun really started baking the snow (and us) in earnest here on the exposed shoulder of Mt. Cashmere. Tom, of course, was unfazed by the radiating heat and left Kyle and me to suffer through it. We made it to the northern portion of Windy Pass by 1 p.m. and found a nice spot to have lunch before skiing down and around the western cirques of Mt. Cashmere. On this flawless day, we had views south to Mt. Stuart, Eightmile Mountain, Dragontail, Colchuck, and Mt. Rainier as well as north to Glacier Peak and even Mt. Baker. 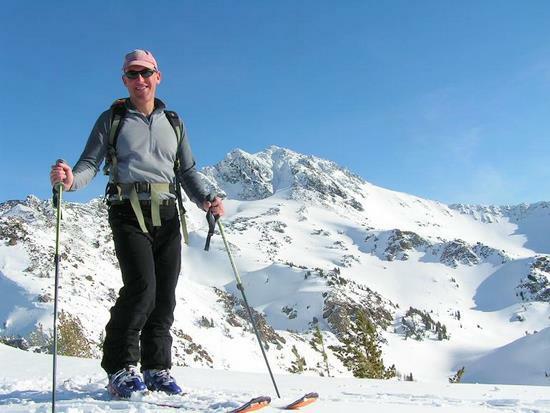 We sat there lusting after all the skiable slopes surrounding us that we lacked time to ski. 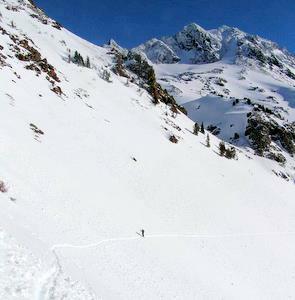 We spotted the higher skin track of another party leading to the ridge above Doctor Creek, but we accessed the creek drainage by skiing down and around a gorgeous cirque. The vertical drop here was not large, but the setting was incredible, the skiing memorable. 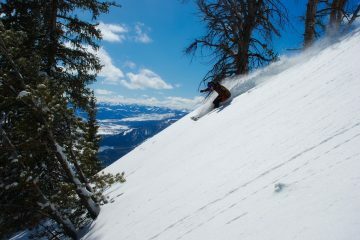 Then we skinned up a sun-baked slope to the shoulder of Doctor Creek, reaching this around 3 p.m. From the shoulder, we dropped into open bowls filled with “grabby” powder and capped, in places, with a thin crust. The conditions weren’t perfect but the skiing was great all the same. Having explored Doctor Creek several times in the summer, I led us down the summer path I knew. We picked up someone’s skin track in short order and this led us to an icy logging road. Some three miles of road skiing delivered us to the Icicle Road. This day, we lucked out. Instead of slogging back to the car along four more miles of nearly flat road, we hitched a ride with fellow backcountry fanatic Ron Cotman, who was on his snowmobile and had just finished a splitboard tour in Doctor Creek. This was quite the dilemma: 10 minutes of high-speed towing or an hour of mind-numbing poling and skating on heavy gear. We didn’t feel much guilt about choosing the tow and found ourselves back at the car around 5 p.m.
Elevation gain: about 6,000 vertical feet. Access: From the east end of Leavenworth, take East Leavenworth road 3.5 miles to the Icicle Road. Turn left and follow the Icicle Rd to the end of the plowing (usually just past the Bridge Creek Campground turnoff (6 miles past Sleeping Lady Resort). After parking, get started by walking back toward the Bridge Creek Campground and turning right on the Eightmile Road (Forest Service Road 7601). Uses allowed: Skiing, snowmobiles along parts of the route. Hazards: Avalanches, storms, cold, getting lost, dropping in your tracks from fatigue, falling space junk, overactive imagination. 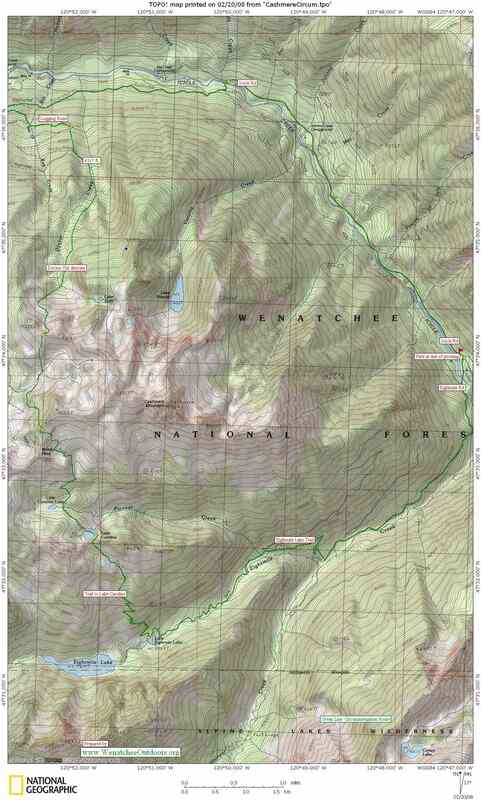 Maps: See our map below and carry a USGS 7.5-minute quad of Cashmere Mountain.